ePHOTOzine has reviewed a huge number of pocket zooms / travel zooms so to help you decide which is the best camera for you, we’ve put a top ten together that features the highest-scoring compacts with optical zooms from 10x to 30x that ePz’s put to the test. Also, all of these cameras are pocket-sized which makes them ideal for travel or holidays! 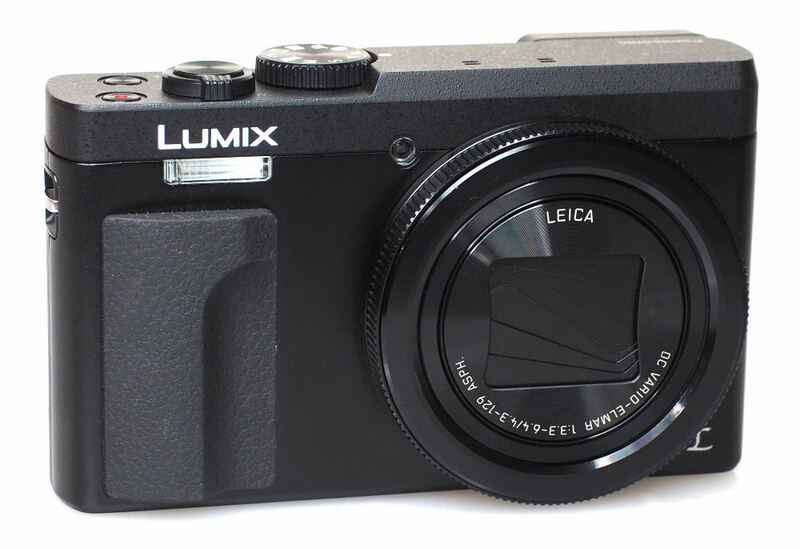 The Panasonic Lumix TZ80, also known as the Lumix SZ60, is an update to the TZ70 which is next on our list. The TZ80 features a new 18-megapixel sensor, as well as a 30x optical zoom lens and electronic viewfinder. The TZ80 is also the first compact camera with 4K video/photo/post focus, and as the sensor is larger than camcorder sensors, the camera is said to deliver better video quality. The TZ80 is capable of taking great photos, with excellent colour and good levels of detail. The lens gives you a great zoom range, and the viewing and user experience is excellent thanks to a clear 3inch screen. The Panasonic Lumix TZ70 features a 12 megapixel sensor which gives better low light performance and improved image quality, along with an impressive 30x optical zoom lens with image stabilisation, full HD video recording with stereo sound, 3 inch screen, built-in GPS, Wi-Fi, NFC, 10fps continuous shooting, as well as a built-in electronic viewfinder (EVF). The TZ70 has all the features you’d want from a travel camera and doesn’t disappoint in terms of its image quality. 3. Panasonic Lumix DMC-TZ200 – NEW! 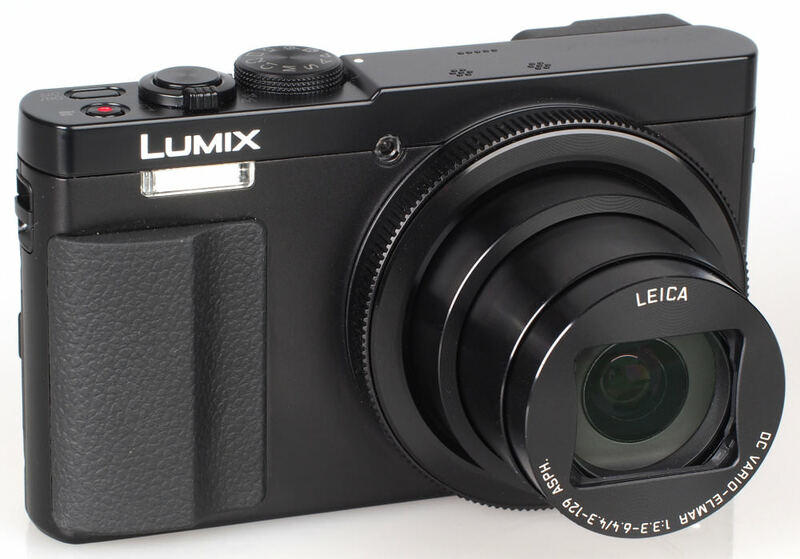 The Panasonic Lumix TZ200 offers a 20-megapixel 1inch sensor, plus a large optical zoom with a Leica 15x optical zoom lens while still being reasonably compact and lightweight. It’s much smaller in size than bridge cameras such as the FZ1000 which offers a similar zoom length which makes the TZ200 a camera well-worth considering as a travel zoom if you’re heading off on holiday this year. The camera is packed full of features including high-speed shooting, raw mode, creative effects, a 3inch touch screen, electronic viewfinder, plus 4K photo and video recording. 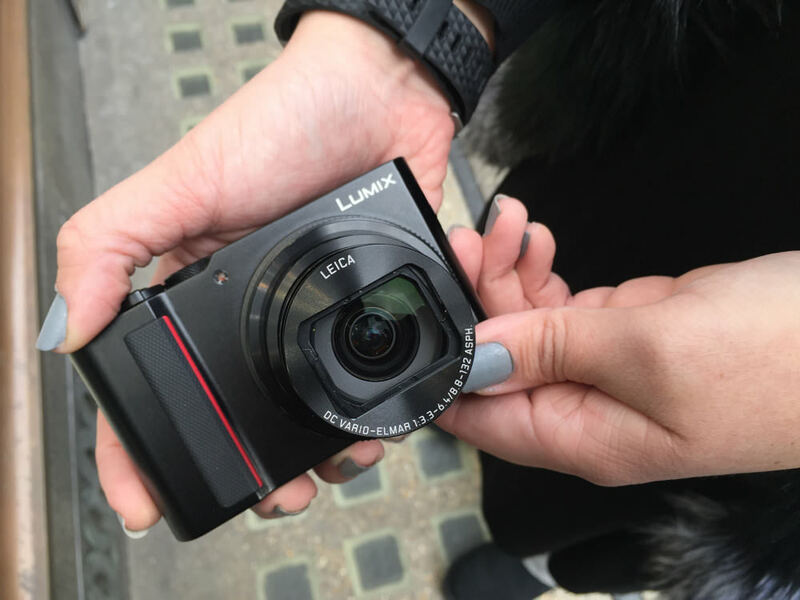 Plus, the TZ200 can be easily used by someone who’s just getting to grips with photography as well as a more seasoned pro who’s looking for a pocket zoom that’s perfect for their travels. 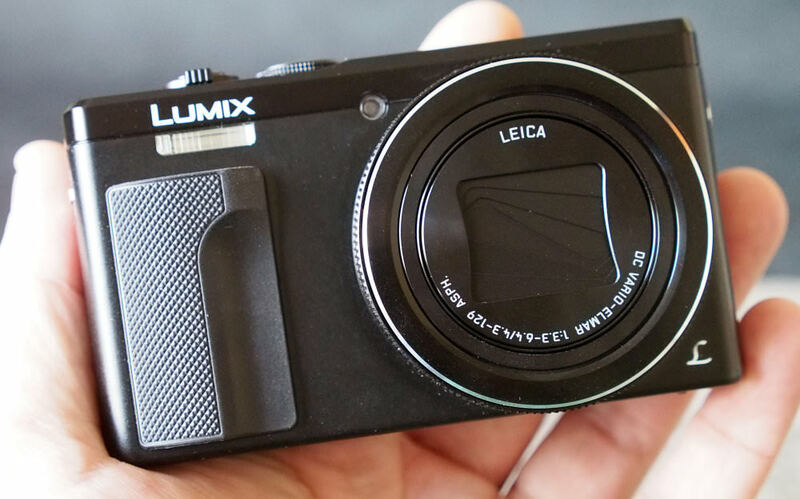 Overall, the Panasonic Lumix TZ200 is a lovely little camera that packs a lot of punch. The Sony Cyber-Shot HX90 / HX90V features a 30x optical zoom lens, 18Mp BSI CMOS sensor, full-HD video recording and a tilting “selfie” screen. 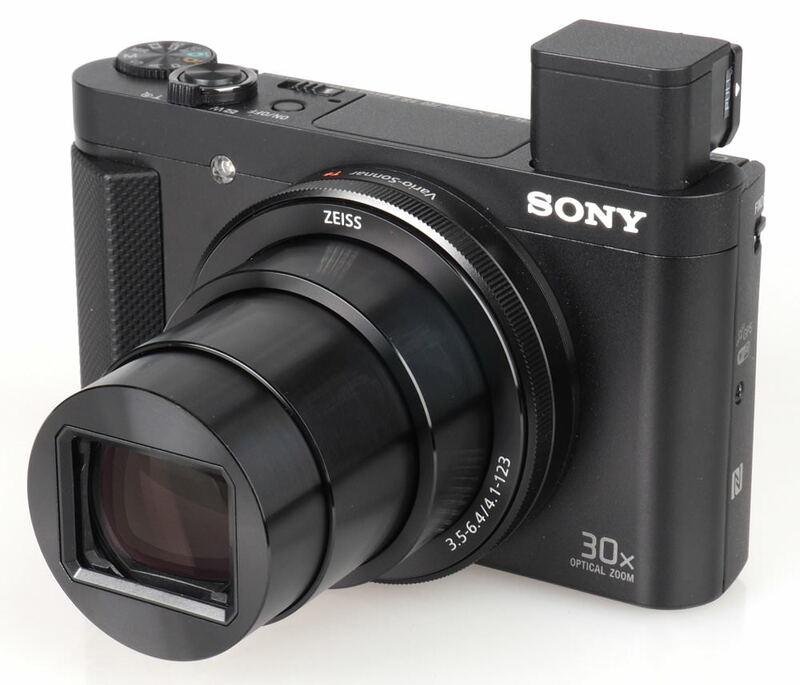 The Sony Cyber-shot HX90V is one of the most compact 30x optical zoom lens cameras available and even packs in an electronic viewfinder making it great for use on bright sunny days. The camera performs well, with quick performance, bright colourful images and numerous shooting options. 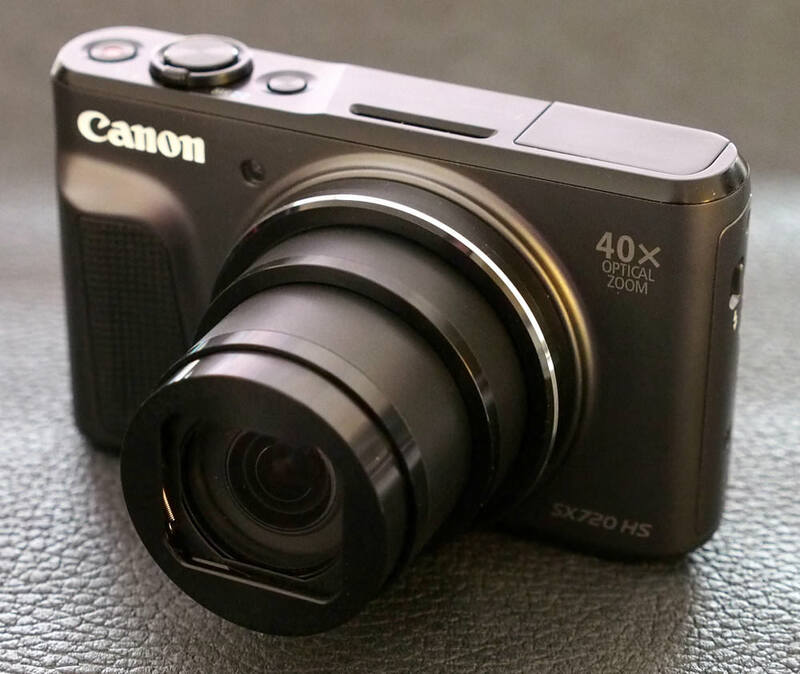 The Canon Powershot SX720 HS offers a massive 40x optical zoom lens, compared to the Canon Powershot SX710 HS with its 30x optical zoom lens. The SX720 also features manual controls and wireless connectivity via WiFi and NFC. The camera has a 20-megapixel sensor, a wide ISO range and a 3inch Purecolor II screen, with a resolution of 922,000 dots as well as a retractable pop-up flash unit. The SX720 provides decent quality images and a range of features that will appeal to both advanced photographers and happy snappers alike. Image quality is good for a camera of this type, although corners can be a little soft at the wide-angle end of the zoom. The image stabilisation works well and video quality is very good also. The Panasonic Lumix DMC-TZ90 updates the TZ80 and offers a tilting LCD touch-screen, a 20-megapixel sensor. The front of the camera features a chunky rubber grip. It has a useful 30x zoom lens, manual controls and 10fps shooting capabilities. The TZ90 camera is easy to use, has a number of creative effects, and for those interested in taking “Selfies” it has some clever features, plus built-in Wi-Fi. 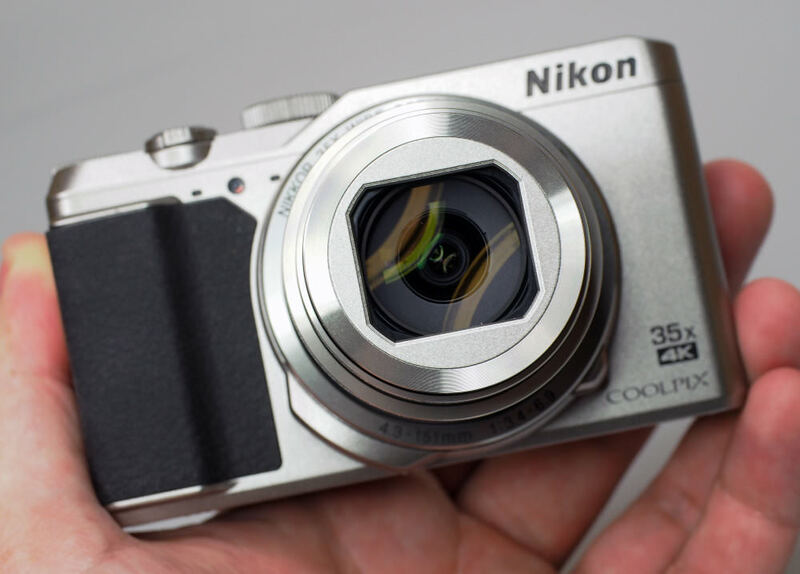 The Nikon Coolpix A900 boasts a 35x optical zoom lens, a 3inch tilting screen, 4K video, manual controls, built-in GPS and Wi-Fi. It is available for a very reasonable price and can shoot at 10fps. Images don’t show as much detail as we would have liked to see, but colour and exposure are both good which should make the camera ideal for sharing images on social media websites such as Facebook. 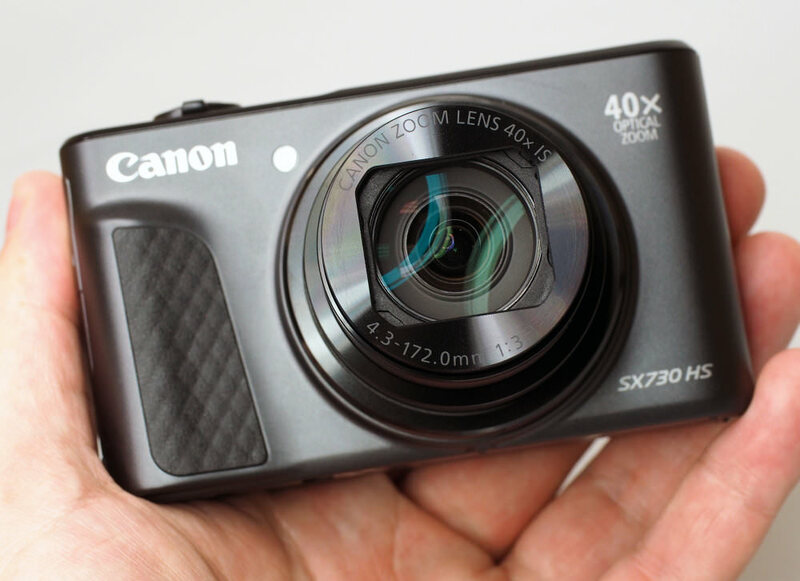 The Canon Powershot SX730 HS offers a massive 40x optical zoom lens. The SX730 also features manual controls and wireless connectivity via WiFi and NFC. The camera has a 20-megapixel sensor, a wide ISO range and a 3inch Purecolor II screen, with a resolution of 922,000 dots as well as a retractable pop-up flash unit. The SX730 provides decent quality images and a range of features that will appeal to both advanced photographers and happy snappers alike. Image quality is good for a camera of this type, although corners can be a little soft at the wide-angle end of the zoom. The image stabilisation works well and video quality is very good also. 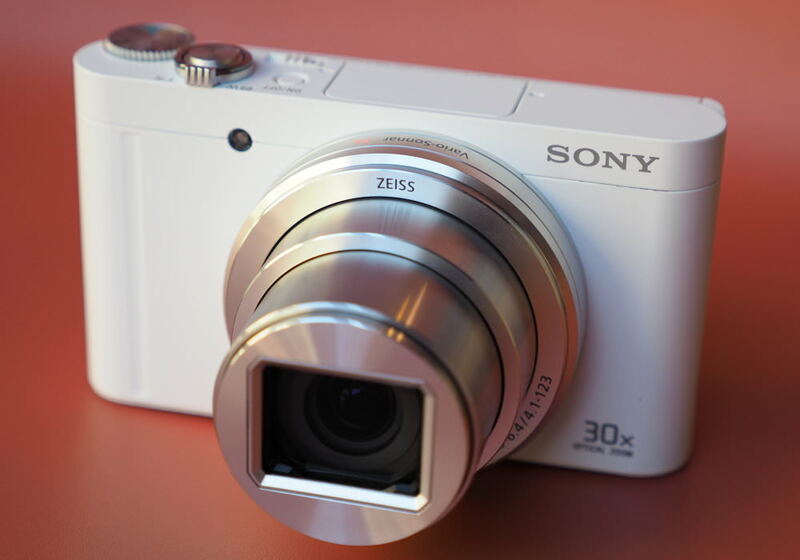 The Sony Cyber-shot WX350 is a compact camera with an impressive 20x optical zoom lens, built-in optical image stabilisation, an 18-megapixel sensor, Wi-Fi, NFC, 10fps continuous shooting, and Full HD video recording. There are a number of creative effects available and the camera records Full HD video with stereo sound. For those that simply want a point and shoot camera, with good battery life, for sharing photos to the web, then this would make a good choice. 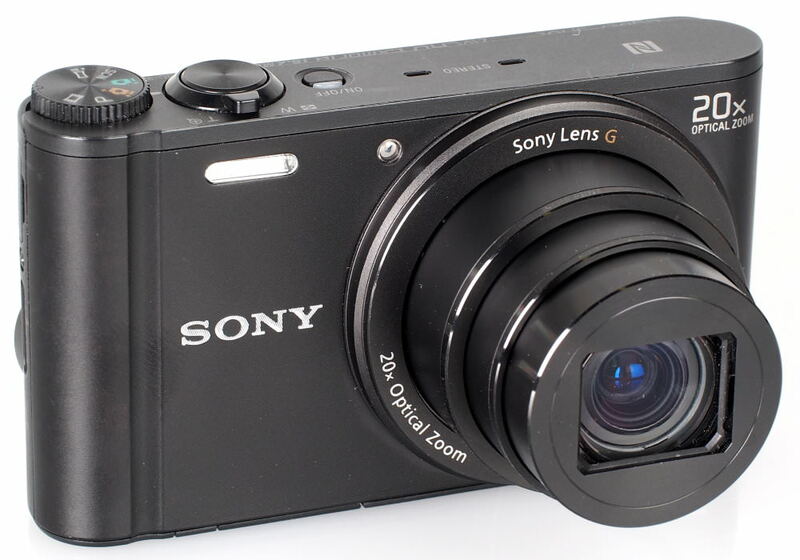 The Sony Cyber-shot WX500 is the little brother to the HX90, with the same 30x optical zoom lens and 18.2-megapixel sensor, it cuts down on a few features, making it a more affordable version. The camera gives bright colourful images and is easy to use, as well as being quick, with a fast continuous shooting mode. With good battery life and shooting modes to suit beginners as well as the more advanced, the WX500 would make a good choice.